Bosch unveils the Video Management System 7.0 software which helps security operators to manage high-resolution video streams, especially in challenging places such as transport terminals and airports. Before, an application lags once a workstation is overloaded. Now, this obstacle is gone thanks to the VMS 7.0. With this new software, security personnel can view several Ultra High Definition cameras at once without the application slowing down. Through the help of streamlining, the optimal video resolution is shown on screen. A lower resolution stream is also available when more cameras need to be viewed. 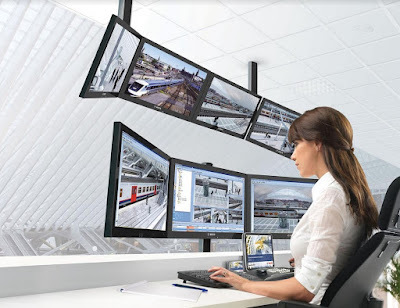 Likewise, the higher resolution is chosen for pictures that are zoomed in or viewed on a full screen with the help of the Bosch IP video cameras with multi-stream capabilities. Bosch VMS 7.0 also allows encrypted communication through a secure HTTPS connection so that footages are secured from hackers. The Bosch Video Management System 7.0 comes with an IT security guide which details on how to configure the software for Windows operating systems.